This week's featured blogger is Brenda from Chatting Over Chocolate. Brenda is a Christian, wife and mom. She loves Disney World and is always planning her next vacation there. Brenda also loves to craft and bake. She has a wonderful inspirational blog. I love this post called Thank God for Dirty Dishes. It really makes you stop and realize that you actually have a lot to be thankful for. Please stop by and say hello to my wonderful blogging friend Brenda! 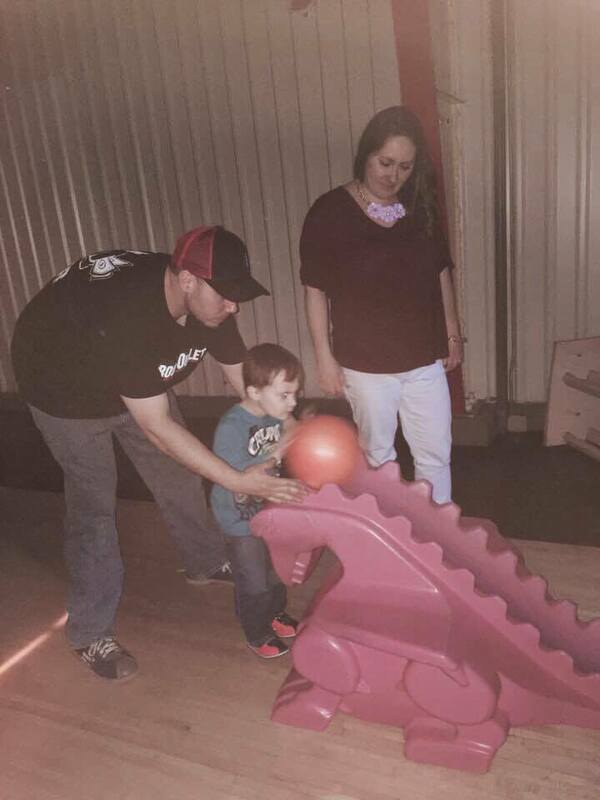 1) Last Saturday, we took Raylan and two of his little friends bowling for the first time. They all loved it and had so much fun. However, Raylan did not want to take turns. He thought it was his turn every time. All in all, it was a great night and wonderful memories were made. I can't wait to take him back again. 2) Over the weekend, I also helped celebrate my best friend Melissa's 30th birthday . I seriously can't believe we have spent 19 birthdays together. She's more of a sister than a best friend. We even fight like sisters sometimes lol. 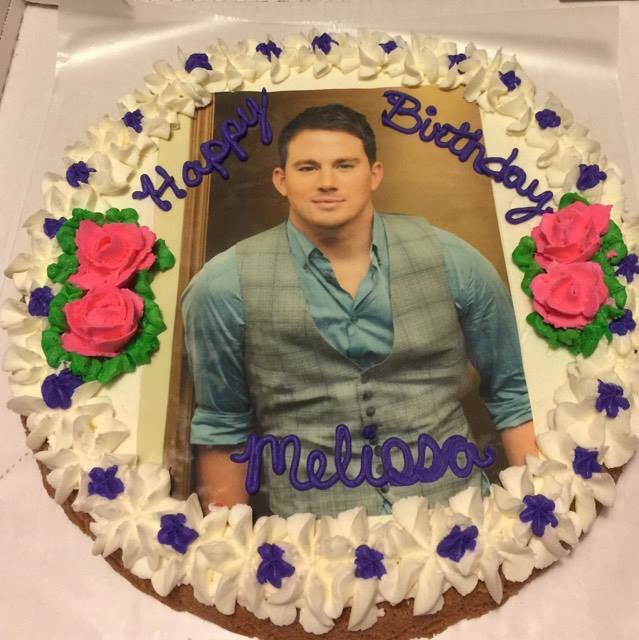 She loves Channing Tatum so this is the cookie cake I made her. 3) Speaking of sweets, Raylan had his first ever homemade donuts. He absolutely loved them! He doesn't get many sweets because of his nut allergies. I have to make just about everything for him. 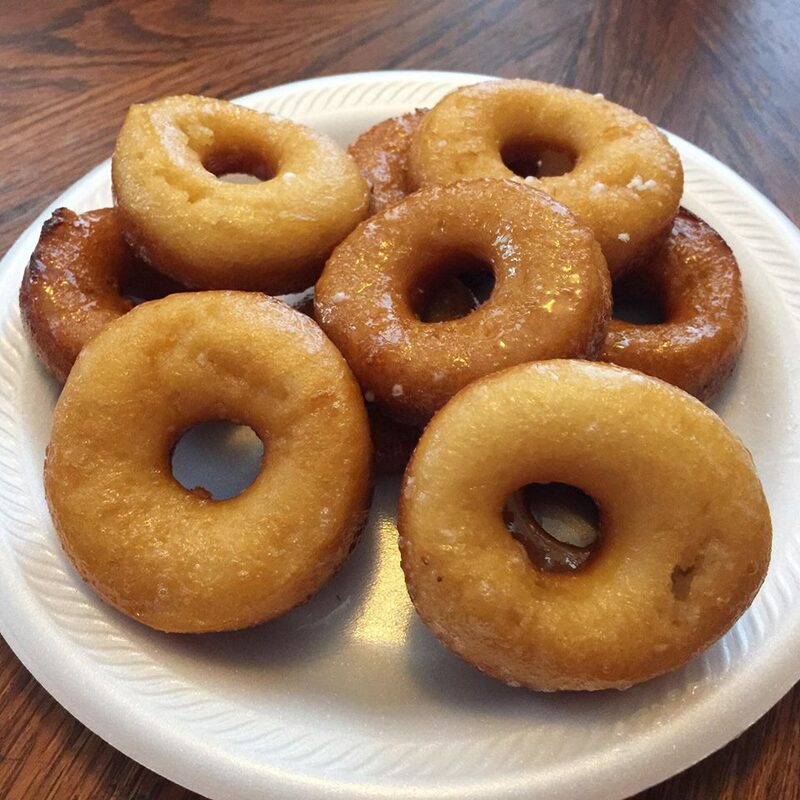 I have a feeling that I will have to keep making him donuts since he loved them so much. 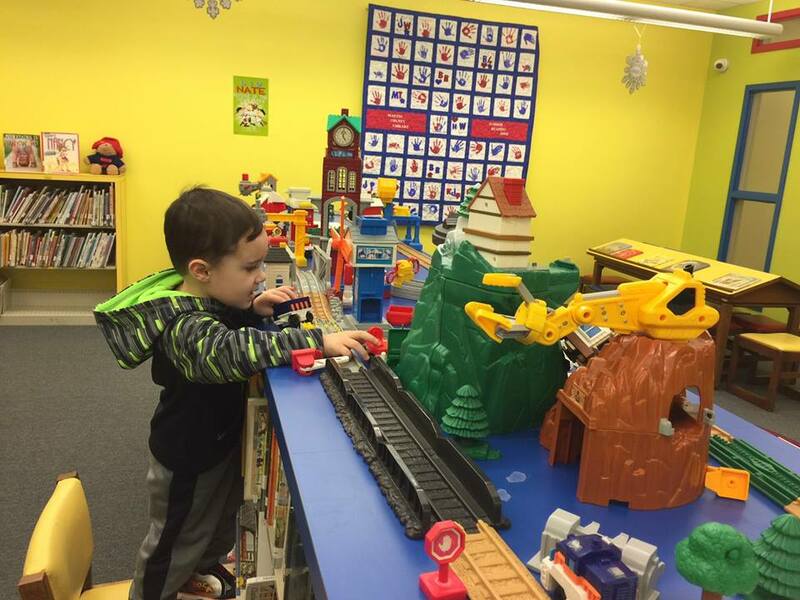 4) Raylan was so excited to be back to Story Time this week. He had to miss last week when he was sick, so he was very eager to go this week. He loved playing with all the toys and the kids. Story Time has been so good for him. It has really helped him come out of his shell. 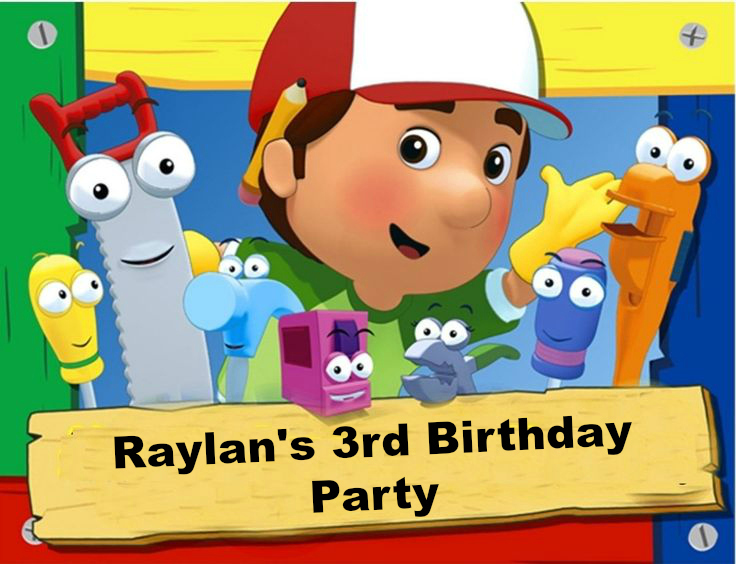 5) Raylan's birthday party is officially booked and only 3 weeks away. Time seriously does fly by. I can't believe my baby will be 3. I wish I could just keep him little forever.